From 1st December 2012 Microsoft will introduce User CAL differentiated pricing across ALL Volume Licensing Programs, which will see the price of the below User CALs increase by 15% whilst Device CALs will see no price change. Public Sector pricing under the PSA12 Agreement will remain the same and will not be affected by this change. The choice between selecting User CALs vs. Device CALs depends on economic factors and ease of management. Having fewer devices than users means it may make sense to license per device. If it is easier to track devices than count users, the per device licensing model offers an appropriate solution. However, if the opposite is true, per user CALs may well be a better fit. These are not the only licensing changes anticipated – with the new Wave 15 Office Product set imminent we expect further changes coming down the line. Please contact me on 01306 646669 or email me on kelly.price@recartait.com if you would like to book a time to discuss how we can minimize unexpected risks and costs. 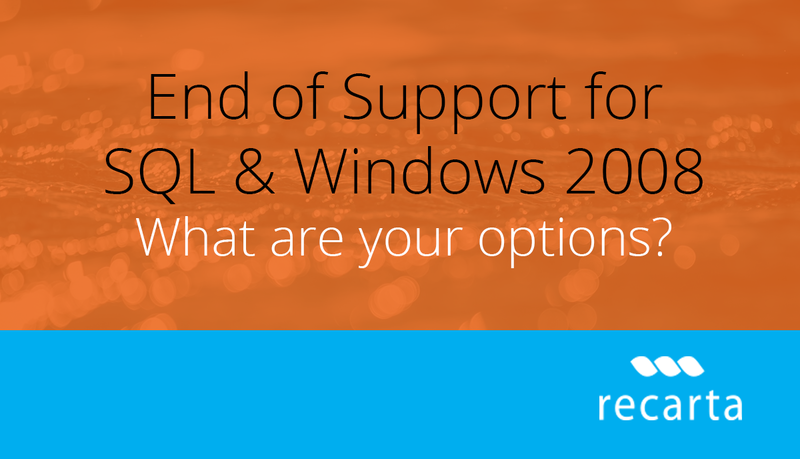 End of Support for SQL & Windows – What are your options?